This guide updates the document originally published by the Teaching Schools Council in November 2014 and updated in May 2016. 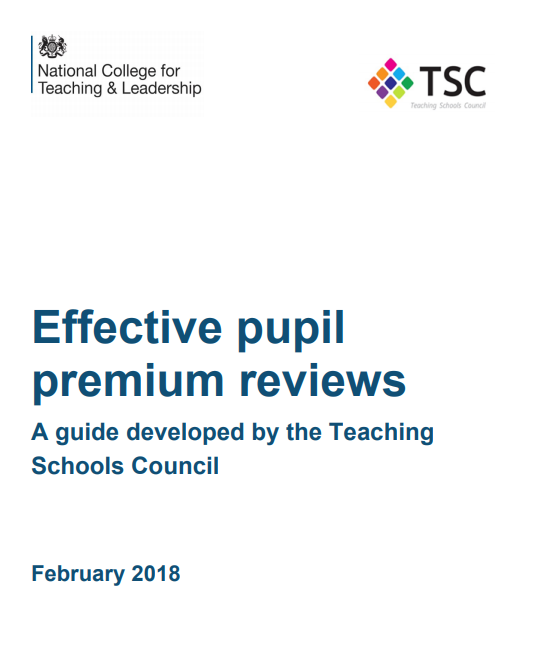 It offers a framework to help schools and reviewers make the most of a pupil premium review, and so find the best ways to raise the attainment of disadvantaged pupils. 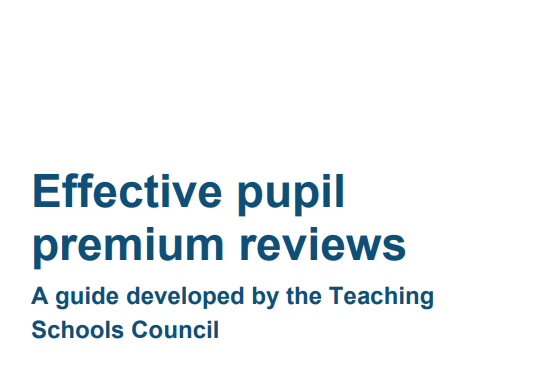 The guide refresh is based on feedback from experienced pupil premium reviewers and schools. The framework, which can also help schools to develop their strategic thinking, draws on the experience of Sir John Dunford and the Education Endowment Foundation. The guide again includes a number of case studies that can help reviewers as they visit schools. The templates for the self-assessment, visit and action plan have been updated and can help schools to create an integrated pupil premium strategy that supports all disadvantaged pupils to reach their potential. Click here to see the guidance in full.